With Guardians of the Galaxy opening today, people are beginning to wonder how Thanos’s role will be expanded in the Marvel Universe going forward. We got a brief glimpse of the villain at the end of The Avengers, and we also know that he is the adoptive father of Gamora. 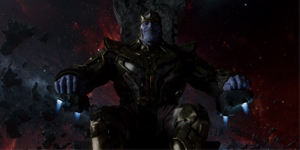 Actor Josh Brolin was recently cast to play the titan in future films, but we have yet to see our first look at Brolin as Thanos…until today. 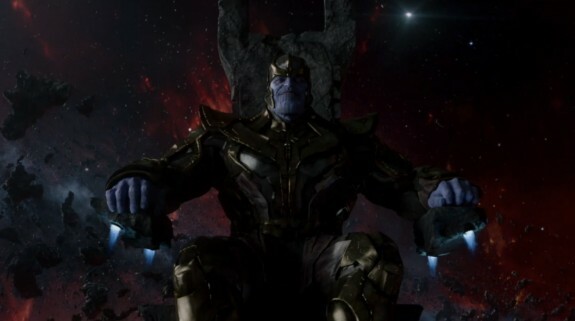 Below is a picture of Josh Brolin as Thanos in Guardians of the Galaxy. He looks a bit different than the version in The Avengers in that his features are more defined. The studio clearly has a solid idea now of how they want him to look. Brolin provided motion capture for the CGI, and if you ask me, this is a perfect look for the galactic overlord. It’ll be great to see Thanos in action in Marvel’s Phase Three.